Reviews of mysteries old and new…with random thoughts about coffee and beer thrown in. A little while ago, I had the opportunity to read and review Anne Marie Stoddard’s Murder at Castle Rock as part of Cozy Mystery Book Reviews. Here is the link to my review on the CMBR page. Murder at Castle Rock is Anne Marie Stoddard’s first novel and I look forward to reading more of her work. 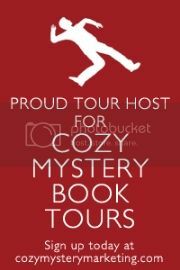 If you are a cozy mystery fan haven’t already checked out CMBR’s page, you’re missing out on a wonderful community and resource–so make sure you do so ASAP! I’ve been slowly getting into a blogging rhythm, so to speak. What I’ve found works for me is posting at the beginning and end of the work week. I’ll probably post on Monday/Tuesday and again on Thursday/Friday going forward. Weekends will be for me to find fun things to tell you about at the start of the week. 😉 Stay tuned for my final post on “The Bletchley Circle” (although I’m sure I’ll be referring to the show numerous time in future posts–I’m a little obsessed). I’m going to spend the rest of the week speed-reading my way through Lost and Fondue, the second installment in Avery Aames’ Cheese Shop Mysteries. She will be signing at Mysterious Galaxy’s 20th birthday celebration this weekend and I will be buying her latest book then. We are going to make a day of it, as my husband is looking forward to the afternoon signings, which include John Scalzi and Vernor Vinge. Lastly, it’s New Book Tuesday! I am particularly excited because Carolyn Hart’s Dead, White, and Blue (her 50th!) is being released today. The other books I’m hoping to pick up at Mysterious Galaxy this weekend are Victoria Thompson’s Murder in Chelsea (also being released today–I’m working on being more patient and waiting until Saturday 🙂 ) and Liz Lipperman’s Heard it Through the Grapevine. What new releases are you looking forward to? See you at the end of the week! As promised…text for Tuesday’s post! Reviews of mysteries old and new...with random thoughts about coffee and beer thrown in.